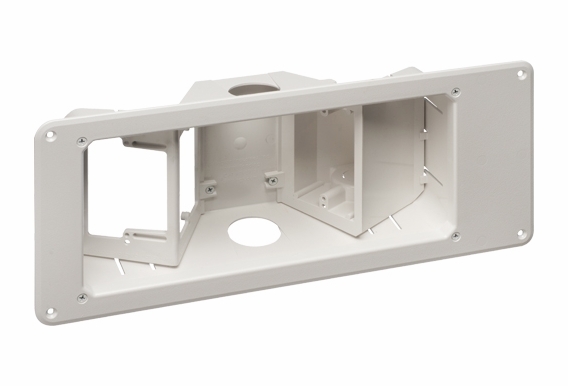 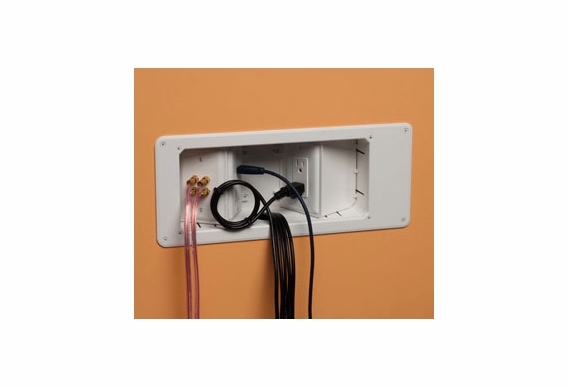 This recessed-plastic-recessed combination power and low voltage TV BOX™ lets you mount your flatscreen TVs flush against a wall, freeing up valuable space. 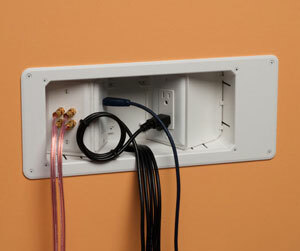 The TVB713 boxes have angled outlet boxes for added convenience and the two angled outlet boxes keep plugs behind the wall surface. 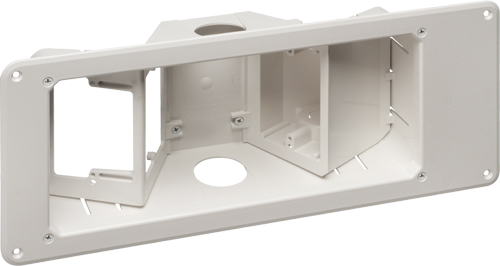 What is the mounting depth of this item?